Is that a single polyp? It looks like it has at least two separate mouths. If not it might be a naturally occurring fusion, like we see often in fungai corals. I was thinking something similar. Looks like a purple and green grew close together and fused. Nice piece. Very nice piece! 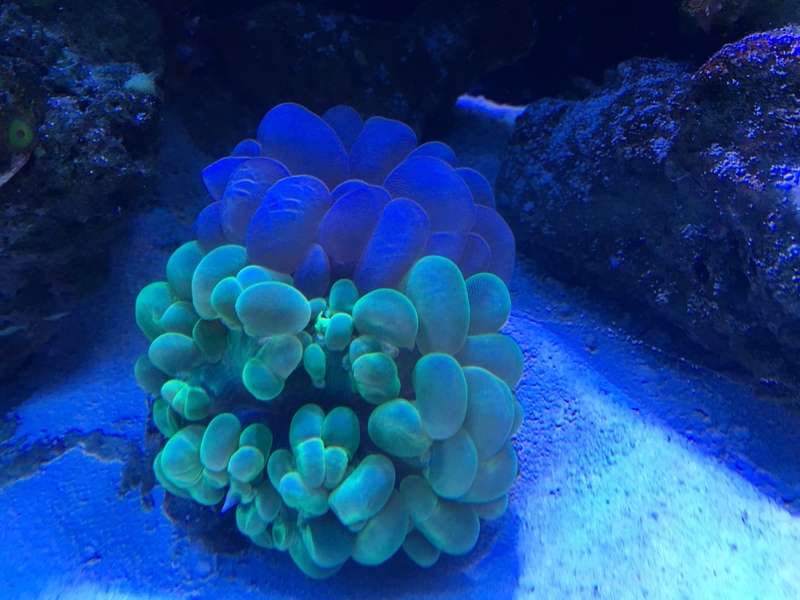 Bubble Coral is on my list. I just need to make room!